Record rainfall hit Toronto this evening stranding people in trains, cars, and buildings. 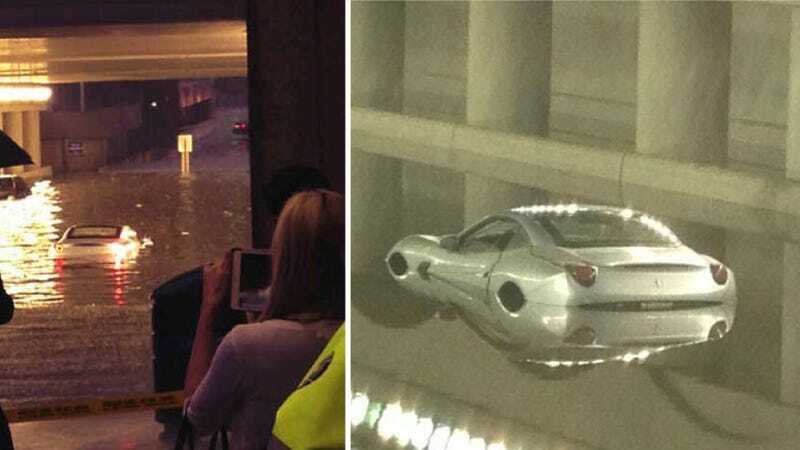 It also submerged one unlucky Ferrari California. Silly Canadians, water is the natural enemy of Ferraris. Here are some tweets from Toronto this evening.